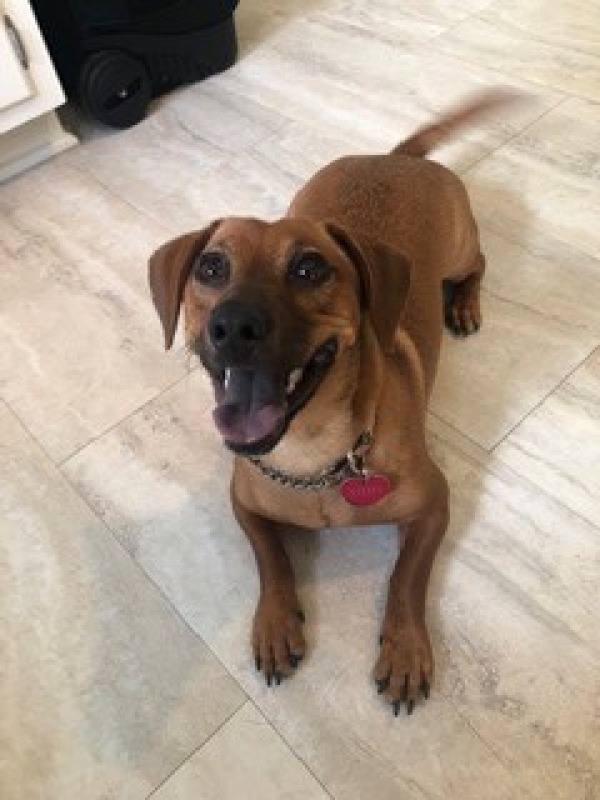 Steffi is a beautiful dachshund mix female with a soft red coat and a happy personality. She is between 1 and 2 years in age. She weighs the same as a standard dachshund but has longer legs. Steffi likes dogs and people and loves to play with other nice dogs, especially medium and large ones. We do not cat test. 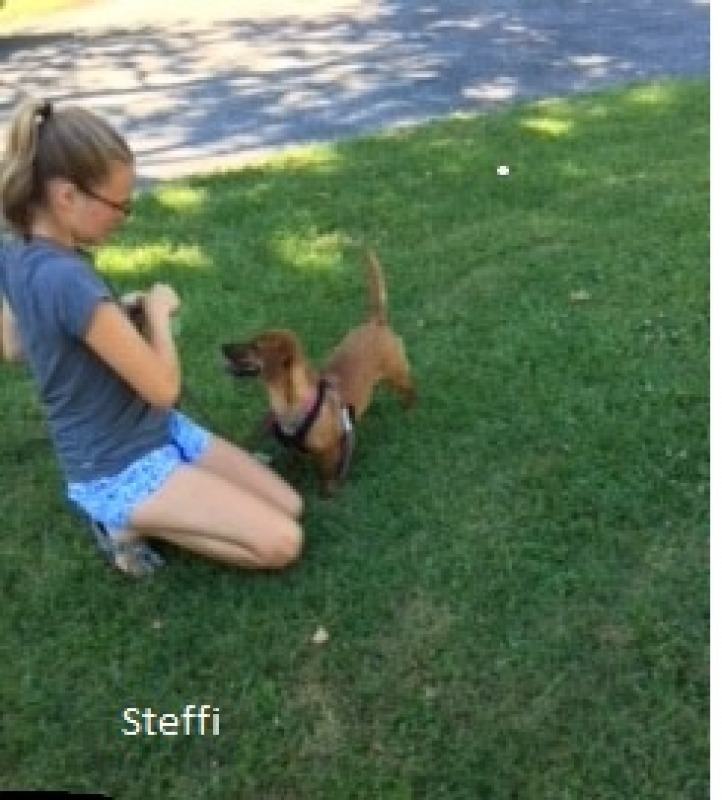 Steffi has had basic obedience training and really enjoys these lessons. She would be great for agility or similar skills that her adopter could do with her. She loves long walks, hiking, and playing with toys and balls. Steffi is house trained. Steffi must be adopted within about 60 miles of Baltimore MD. A securely fenced yard with a 5 ft or higher fence is required so that she can get enough exercise and maintain her house training no matter what the weather. 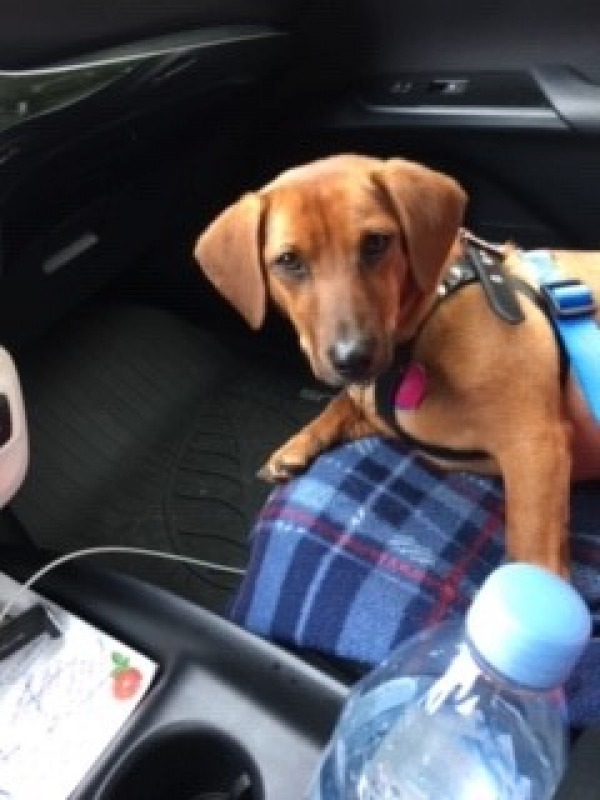 Steffi is spayed and current on vaccinations, heart worm negative, and ready for her new home which should not have small children so that Steffi does not knock them over because she is an energetic young pup. Her adoption fee is $275.